Now separated, and with his son and daughter having moved to Cleveland with their mother, Rel must begin the difficult task of rebuilding his life as a long-distance single dad. 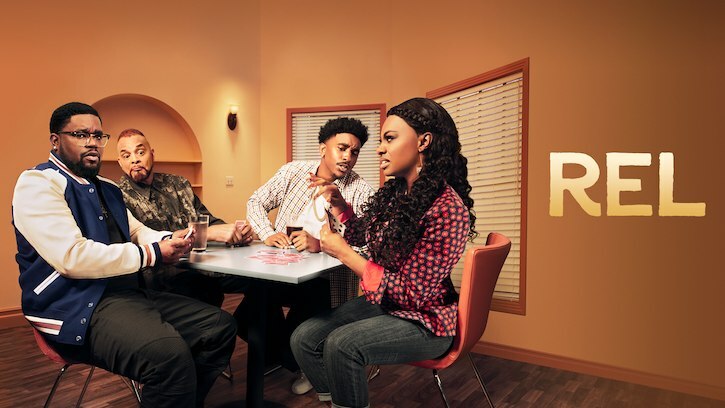 Offering Rel support are his best friend and unfiltered sounding board, BRITTANY (Jessica “Jess Hilarious” Moore, “Wild ’N Out”), and his recently out-of-jail, excitable and overly encouraging younger brother, NAT (Jordan L. Jones, “NCIS: Los Angeles”), as well as his prideful and recently widowed DAD (Sinbad, “A Different World”, “The Sinbad Show”), who finds both his sons deep disappointments. As Rel works to repair his life, he often finds himself the victim of his own well-intentioned hubris. He is the “Icarus” of Chicago’s West Side – repeatedly flying too close to the sun and getting burned. But, ever the optimist, he always dusts himself off to try again.